Julie Michels and George Koller … born in 1958, developed illustrious careers on their own… then met in 1994… the rest is history! They found a shared passion for classic jazz, instant composition, and positive vibrations performing as a bass/ voice duo. Their debut CD Singing Naked, unveiled a warm, dynamic sound, spacious and soulful. An original approach that fused their musicality as performers/composers. A list of their world touring credits or name-dropping in their professional associations would fill a volume. 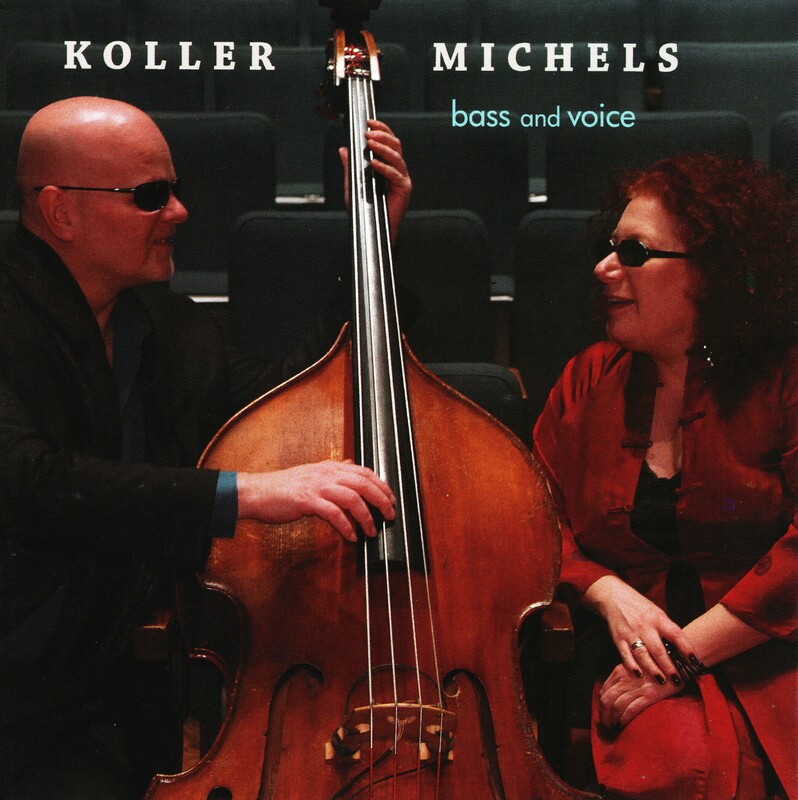 Having played many festivals and large halls, Koller/Michels also enjoy the intimacy of jazz and folk clubs, where they have a history of going out on a limb, as new and old songs are recomposed, revealed, and delivered with a true now-moment jazz passion! 16 Years after the first CD was released, the long-awaited follow-up CD has finally arrived! “Bass and Voice” …14 selections ..pure magic! Here is a link to their facebook fan page. Here is link to their website.